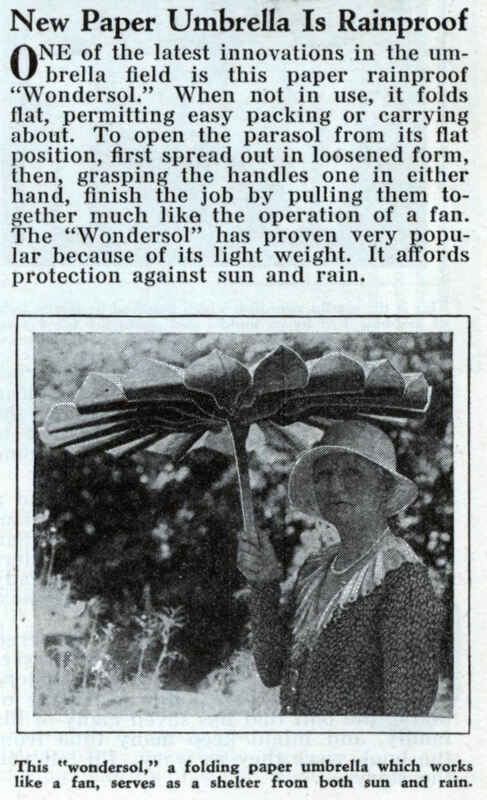 ONE of the latest innovations in the umbrella field is this paper rainproof “Wondersol.” When not in use, it folds flat, permitting easy packing or carrying about. 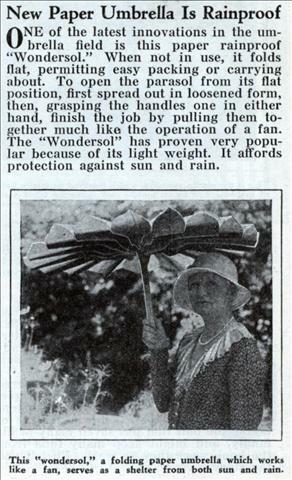 To open the parasol from its flat position, first spread out in loosened form, then, grasping the handles one in either hand, finish the job by pulling them together much like the operation of a fan. The “Wondersol” has proven very popular because of its light weight. It affords protection against sun and rain. Sure the umbrella is waterproof, but is she?